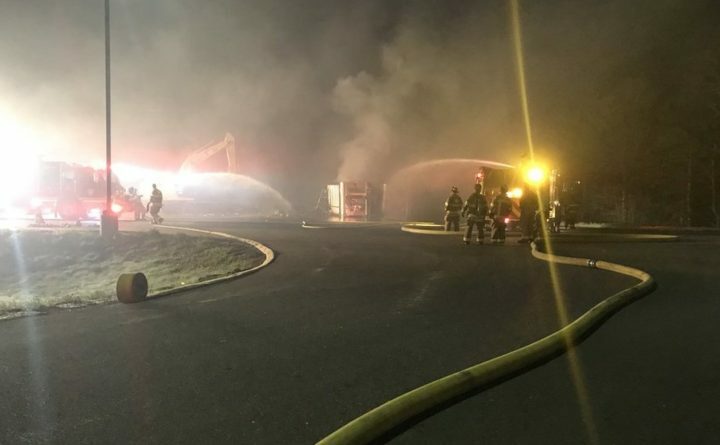 Firefighters responded to a fire early Wednesday morning at Casella Waste Systems in Westbrook. Westbrook firefighters say the fire started around 1:30 a.m. in a tractor-trailer outside the facility. The fire then spread to two other tractor-trailers. The fire did not spread to any buildings. Firefighters say the tractor-trailers were filled with compacted trash and kept reigniting. No one was hurt, and there is no word yet on what caused the fire.